Apex is a managed service provider (MSP) that provides clients with top of the line security measures and IT solutions. They saw a hole in the market, and decided to seize the opportunity to provide their clients with a compliance solution that would complement the expert security work that they’ve provided for years. George Passidakis, Director of Sales and Marketing, and his team began on an exhaustive search for a solution to fit into their pre-existing security framework. After reviewing the compliance-as-a-service (CAAS) market, they noticed that there were shockingly few solutions that would work for them. Most CAAS solutions were consultant-based and ineffective at addressing the needs of George’s existing clients, or else they were ‘check-list’ partial solutions that could only provide security–a feature that Apex and many other MSPs already have covered. Apex’s challenge was to find a total solution that could be easily worked into their pre-existing services that was proven to get the job done. So they turned to Compliancy Group for our total compliance solution, The Guard. 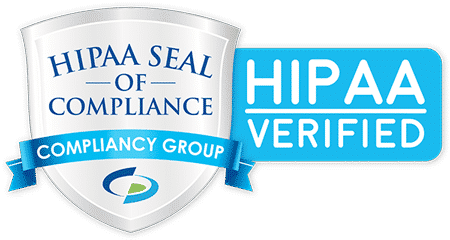 Apex first contacted Compliancy Group as a part of their research initiatives into an effective HIPAA compliance program that they could add to their offerings for their clients. MSPs have the option of white labeling The Guard so that it can be seamlessly integrated into their other offerings as just another feature that they provide. George didn’t want to settle for a solution that would compete with Apex’s hard earned reputation, and with Compliancy Group, our partners never have to. The Guard is the best solution for partners looking to leverage the trust of their clients against a proven total compliance solution. Security and compliance are separate things, and though Apex was successful at making their customers highly secure, they needed a proven solution that would take care of their clients’ compliance. What they found while researching Compliancy Group is that not one of our clients has ever failed an OCR or CMS audit, and that 100% of our clients and partners would refer us to a friend. Compliancy Group also makes The Guard available to MSPs so that they can become HIPAA compliant as well. The value of compliance is often spoken of in lofty sales terms, but here it literally translates to MSPs saving money on their own solution, while bringing in a reliable, recurring stream of revenue from clients who chose to add The Guard to their services. When Apex partnered with Compliancy Group they were also given access to our extensive collection of marketing resources, along with full support from our sales department and team of Compliance Coaches. Even though Apex chose to white label The Guard, our Compliance Coaches still handled all of the customer support and implementation with their clients. MSPs can monitor their clients’ access and use of The Guard from a drop down menu in their own accounts. Apex was able to put their resources into helping their clients manage security, while Compliancy Group took the stress of compliance off their hands. By partnering with Compliancy Group, Apex has resolved the concerns of their clients looking for an effective, total compliance solution. The Guard is built to accommodate practices and organizations of any size or scope, so Apex was able to offer our single solution to all of their clients without the worries associated with consultant-based or partial checklist solutions that come with hidden fees and add-ons. The Guard has helped Apex simplify compliance for their clients and themselves, giving them access to an entirely new set of clients and customers in the ever-growing compliance-as-a-service industry.